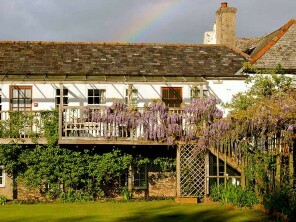 The Folly is a romantic hideaway in the grounds of Fingals, a gloriously unique 17th century manor house in Devon. 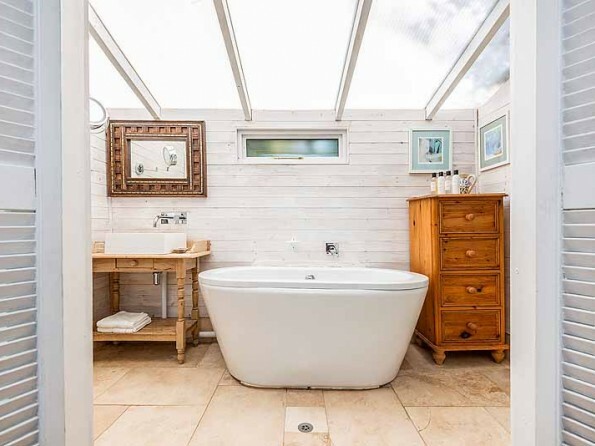 Set in a tranquil valley, your streamside deck offers you peace and quiet, whilst the estate offers a whole host of facilities - an indoor heated pool, sauna, gym, games room, piano, table tennis and grass tennis court. 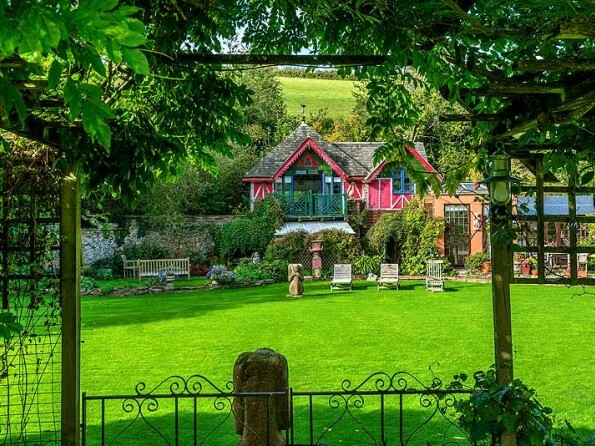 A handsome listed 17th Century Devon Manor House (mentioned in the Doomsday Book), Fingals has been family owned and run for 30 years. 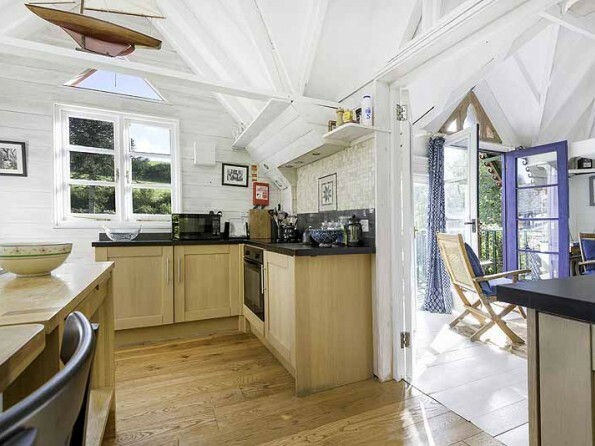 There are six self catering cottage apartments on site each sleeping 2-6 people. Larger groups, who want to be close but not on top of each other, can rent separate units and share the common areas. Fingals is perfect for house parties, wedding receptions, romantic weekends away and family holidays; everyone is welcome. It is quite simply a very special place to stay. Fingals is for lovers of peace and quiet in surroundings which are both romantic and full of character. 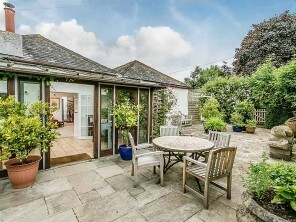 You can walk to the three neighbouring villages from your door, along green lanes and across fields. Bikes are available to borrow on site. Fingals is a mile away from Dittisham in Devon, a beautiful village sited on the edge of the river Dart. 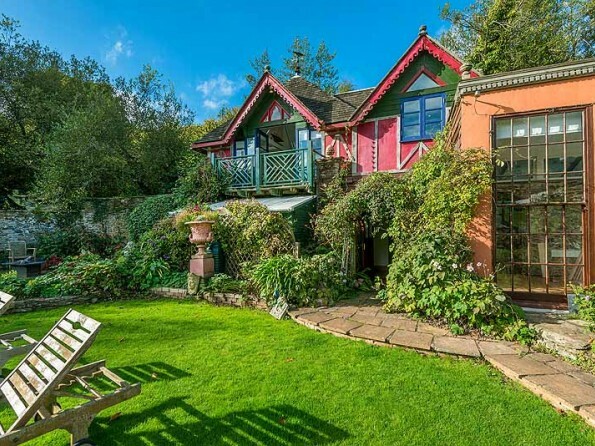 Greenway Quay, which is directly opposite Dittisham, is right by Agatha Christie’s summerhouse and gardens. The National Trust have finished restoring her house and it is now open to the public. Coleton Fishacre is a spectacular house and garden designed by Milne (a disciple of Lutyens) in 1925 for Rupert and Lady Dorothy D'Oyly Carte (of Gilbert and Sullivan fame). The house reflects the Arts and Crafts tradition yet has refreshingly modern interiors. 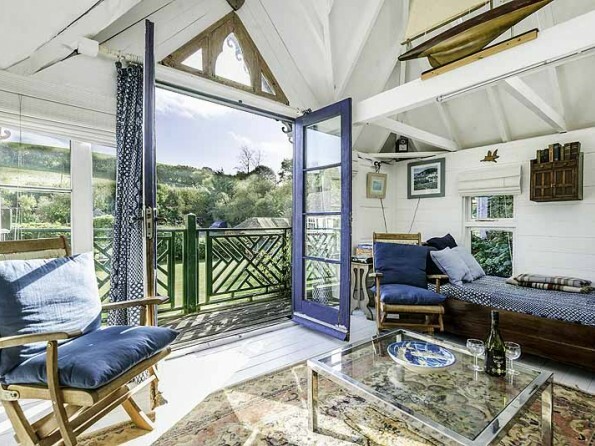 Fingals is within easy reach of Dartmouth, Totnes, Salcombe and Dartmoor. 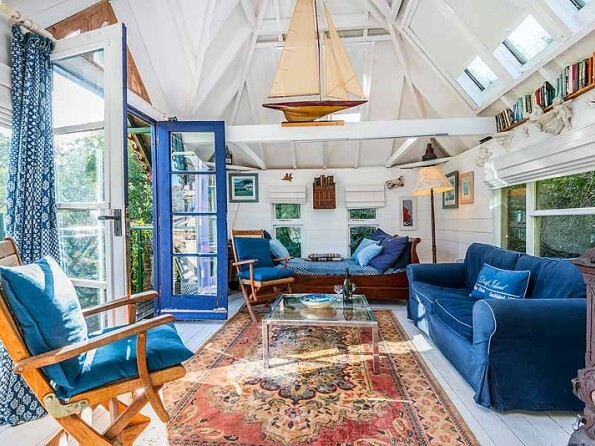 Fingals is ideal for sailing holidays or as a base for exploring the South Devon coast - there are beautiful secluded beaches (we will share our favourite, secret coves with you) and the South West Coast Path offers stunning views. Dartmoor is only a short drive away and is superb for hiking and wild pony spotting. There is a regular rail service from Paddington to Totnes taking approximately 3 hours on the inter-city express. Be wary of buying a single ticket - it is often the same price as a return. It’s about a 4 hour drive from London. Detailed directions given on booking. 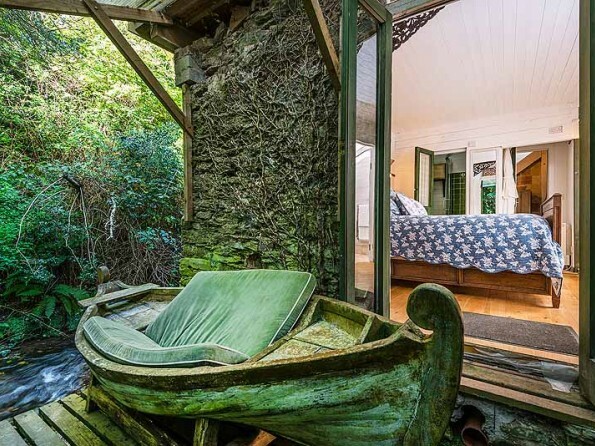 The Folly is a romantic and cleverly designed little hideaway. 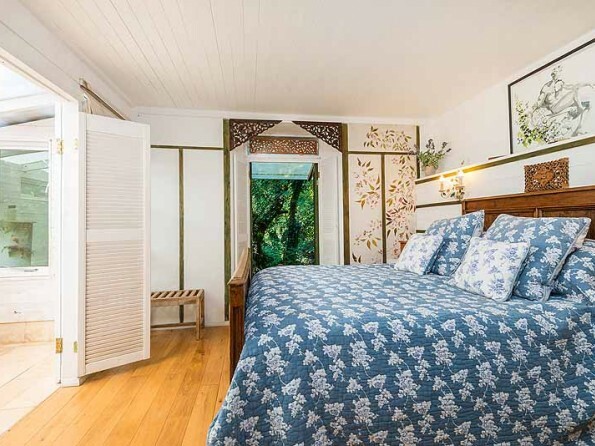 The bedroom has a large bed, and there is a bathroom and separate shower room. 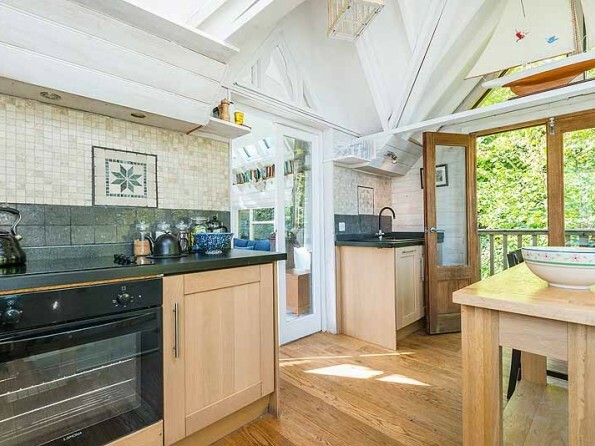 Above the bedroom is a stylish but compact kitchen / dining area with lovely views over the stream and beyond. The cosy sitting room has a woodburning stove, a comfy sofa and a sleigh bed / sofa (in case you need to squeeze in an extra!). 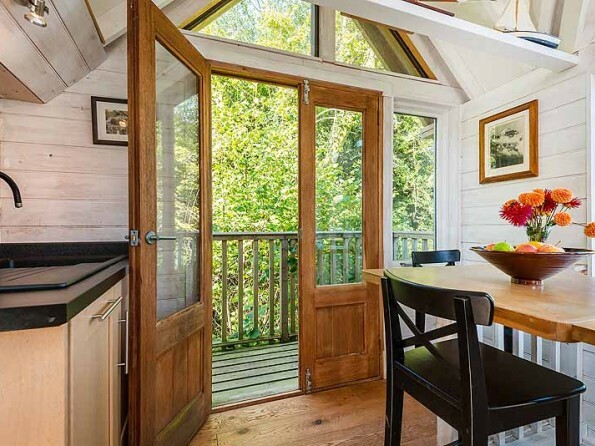 There’s a gorgeous decked terrace overlooking the stream with a unique ‘boat’ seat where you have otters and kingfishers for company. There’s also a balcony where you can enjoy the evening sun with an excellent view of the grass tennis court. 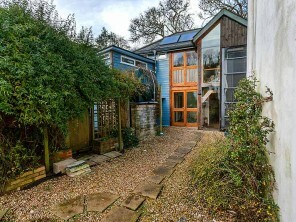 Fingals is set in a lovingly tended garden with secluded and secret corners where you can read and relax. If you’re quiet enough, you’ll see and hear a huge variety of birds, and in the evening see bats. 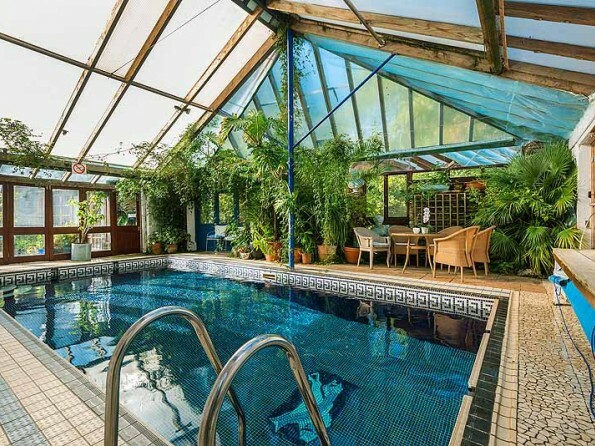 The swimming pool is in a conservatory, full of exotic plants, which opens up to the elements in the summer out on to the stream. There is a contraflow pump at one end for those wishing to exercise. 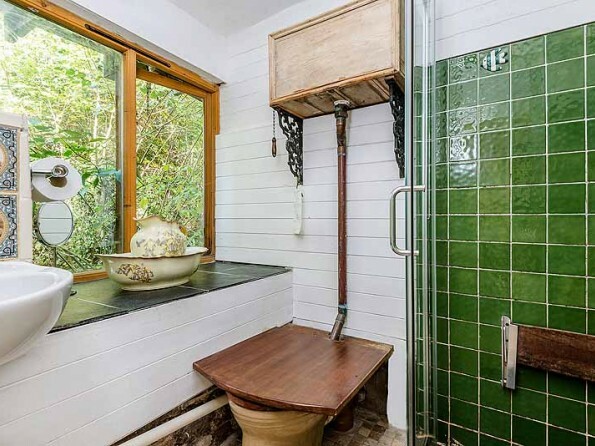 The Sauna has a large window looking over the stream. There is a gym equipped with a rowing machine, exercise bikes, a cross trainer and multi gym. 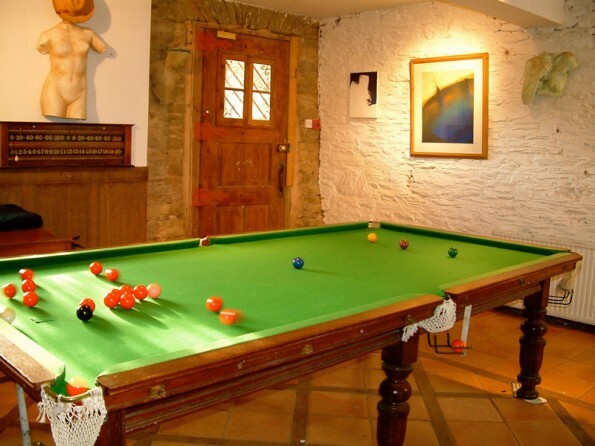 The Games Room has pool/snooker, table football and an outside ping pong patio. 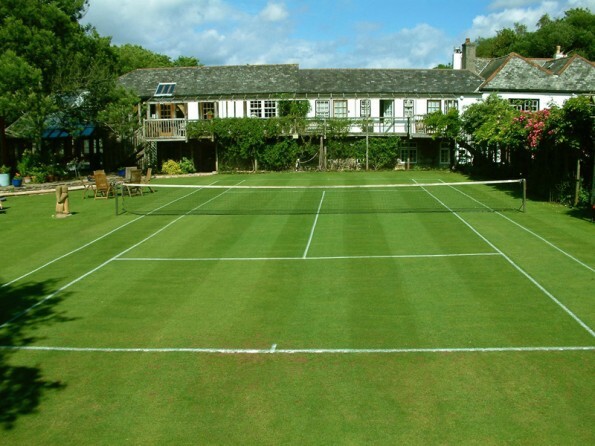 The grass tennis court is the envy of many a club player and is suitable for competitive tennis in the beautiful surroundings of our walled garden. 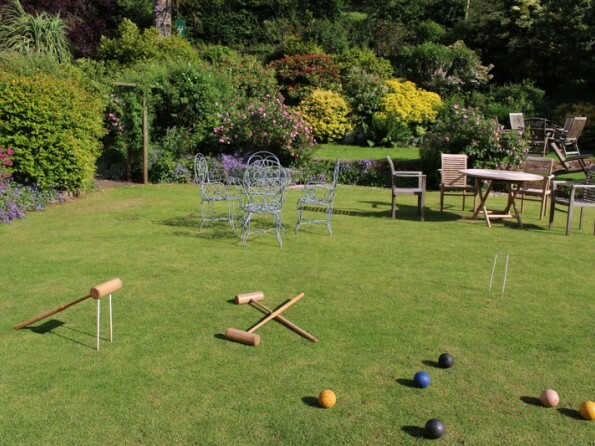 There is a croquet lawn. 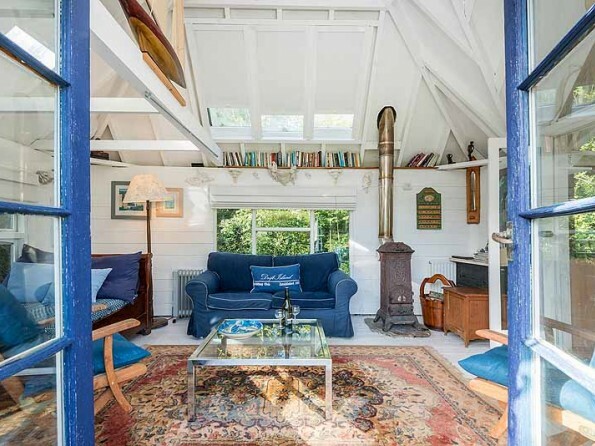 Situated just outside the village of Dittisham, Fingals offers something magical. 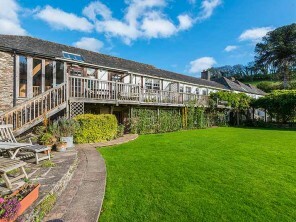 If you are looking for a special place for your stay in Devon - somewhere different from the run of the mill - then Fingals is for you. Fingals is child friendly - kind to kids and dogs as well as adults. If you are looking for a family holiday, a weekend break, or a secluded romantic honeymoon venue, then Fingals should be top of your list.